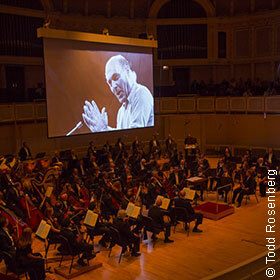 In 2012, we com­mem­or­ate the centen­ni­al of the birth of Sir Georg Solti, the Chica­go Sym­phony Or­ches­tra's be­loved eighth mu­sic dir­ect­or from 1969 un­til 1991 and mu­sic dir­ect­or laur­eate from 1991 un­til 1997. 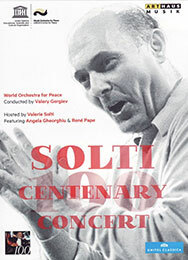 This cel­eb­rat­ory con­cert from Sym­phony Cen­ter, Chica­go marks the 100th an­niversary of the birth of the great Hun­gari­an con­duct­or Sir Georg Solti. 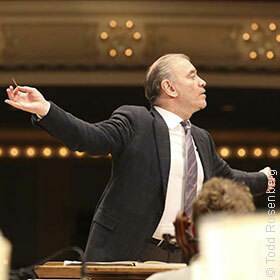 Valery Ger­giev con­ducts the World Or­ches­tra for Peace, the or­ches­tra which Solti foun­ded, made up of play­ers from the world's lead­ing sym­phony or­ches­tras. 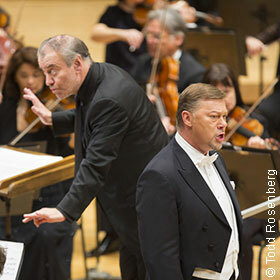 The or­ches­tra per­forms the over­ture from Moz­art’s The Mar­riage of Figaro, Strauss’ Don Juan, the Adagi­etto from Mahler’s Sym­phony No. 5 and Bartók’s Con­certo for Or­ches­tra. 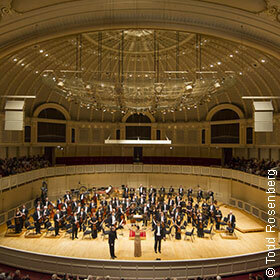 Ghe­orghiu, Pa­pe and the Solti alumni are the so­loists for be­loved op­er­at­ic ex­cerpts. Papé per­forms “In diesen heil'gen Hal­len” from Moz­art’s The Ma­gic Flute, Ghe­orghiu so­los on “Ad­dio del pas­sato” from Verdi’s La travi­ata, and the sing­ers join forces for “Là ci dar­em la mano” from Moz­art’s Don Gio­vanni. 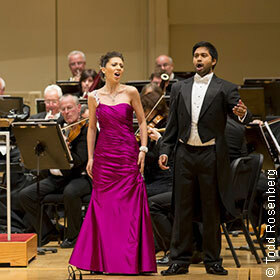 The alumni mu­si­cians are fea­tured on “Bella figlia dell’amore” from Verdi’s Rigo­letto. 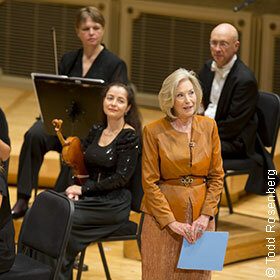 Lady Solti ap­pears as presenter.